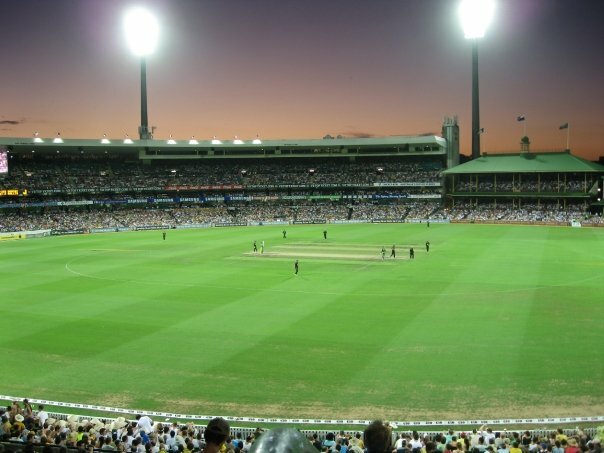 When I moved to Australia I realized I had a bit of a learning curve in front of me in terms of the favorite Aussie sports: cricket and rugby. Being a true American girl at heart I have always enjoyed American sports. My favorite sports are baseball and basketball, in that order. Of course I’m referring to watching, not playing. If you saw me attempt either you’d see what I mean. I did enjoy American football growing up too when the San Francisco 49ers had players like Joe Montana, Jerry Rice and Roger Craig. Maybe that’s because my Dad and brother were fanatics so I guess I really had no choice. So you can see how cricket and rugby were as foreign to me as vegemite on toast! When I started a new chapter of my life in Sydney I was determined to learn as much as I could about Aussies and their culture. One of the first things I learned was that sport is like a religion. 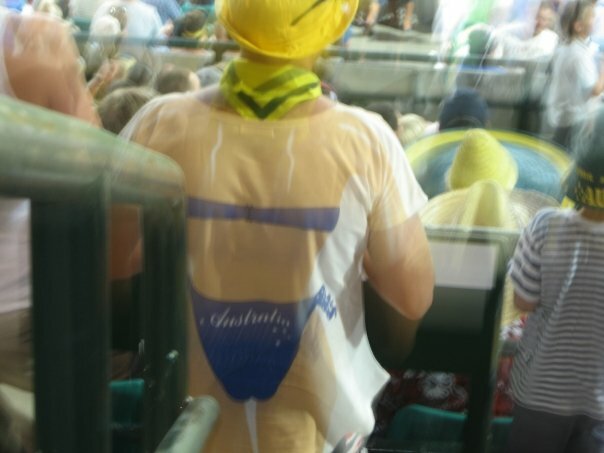 If you know any Aussies then you know sport, as they say, is a massive part of their culture. People are extremely passionate about sport and cricket in particular. If someone is an Aussie and says anything off color about cricket they seem to get attacked and told they are being un-Australian. I admire their true passion for their sport. I find it refreshing actually. In my opinion, many of the sports in the States have become poisoned by money and politics. Take the NBA (National Basketball Association) for example where there is currently a lockout as players and owners can’t reach an agreement on player’s salaries. These players are paid millions to play professional basketball while teachers and fire-fighters continue to be grossly underpaid. Hmmm, what’s wrong with that picture? Cricket and baseball do have some similarities. When I started going to cricket games and watching more of it I’d try to understand it in relation to baseball. That is the only way I could begin to understand the game. A few similarities stand out. For example, a bowler in cricket is like a pitcher in baseball. The person batting is trying to hit the ball and get runs off the bowler/pitcher in both sports. So if a bowler/pitcher is getting a lot of hits off them, they aren’t doing well. An “over” in cricket is somewhat similar to an “inning” in baseball. One team bats and the other plays in the field. The team with the most runs wins. I’ll stop there because if I say anything else I’m sure I’ll get something wrong about cricket and heaven forbid I do that! There are also differences. In cricket the players don’t run around bases like baseball. Instead the batsman (batter) runs to the opposite end of the cricket “pitch” when they hit the ball. Unlike baseball, cricket isn’t finished in a 3 hour window in 9 innings (on average). A 1-day cricket match goes for at least 6 hours, yes my American readers, I said at least SIX hours. Cricket test matches can go for 5 days. Cricket games can go for a number of hours or days making it one of the sports with the longest playing time. I’ve been to 1-day games where we arrived at 10am and were still sitting there at 5pm. Thankfully if it’s a nice, sunny day it is a really fun day out with friends. You can say the same for baseball though. If neither team is hitting in a baseball game then 3 hours can feel like 6 hours. Cricket seems to be considered a more traditional sport that started in England. There are some obvious British traditions included in the game today. One example is the afternoon tea break. I admit the first time I heard this, I had a giggle because you just don’t expect to hear it associated with a sport. Imagine an afternoon tea break as part of a baseball, American football, basketball or ice hockey game? It just wouldn’t fly. Obviously this is based on tradition but I still find it a tad amusing. 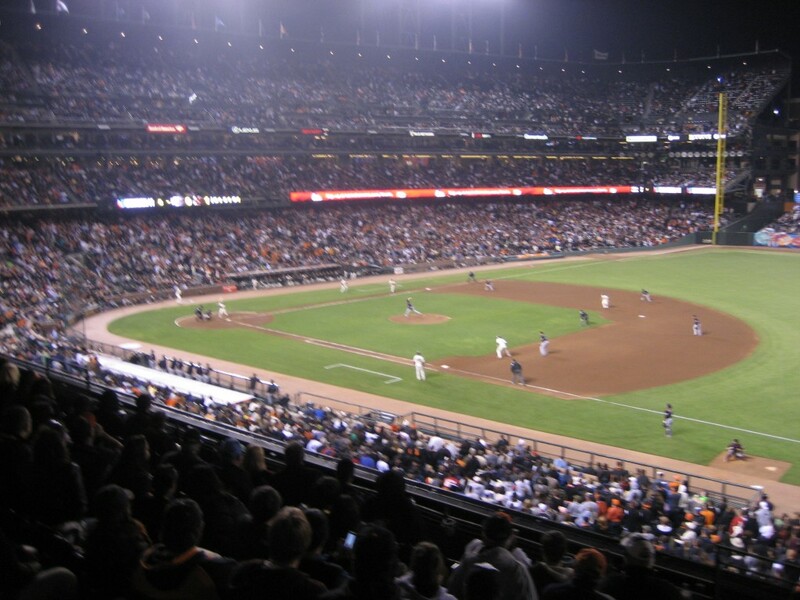 The atmosphere at cricket games can be a fun one like when you go to a baseball game in the States although because it is so much longer it can get challenging at times. There is also a version of cricket in Australia called Twenty20. These games are limited to 20 overs so they actually do run a similar time to an average baseball time. The atmosphere at the Twenty20 games are even more fun than the 1-day or test matches. There is entertainment, more action, the players seem to really enjoy them and I’ve even seen cheerleaders there. 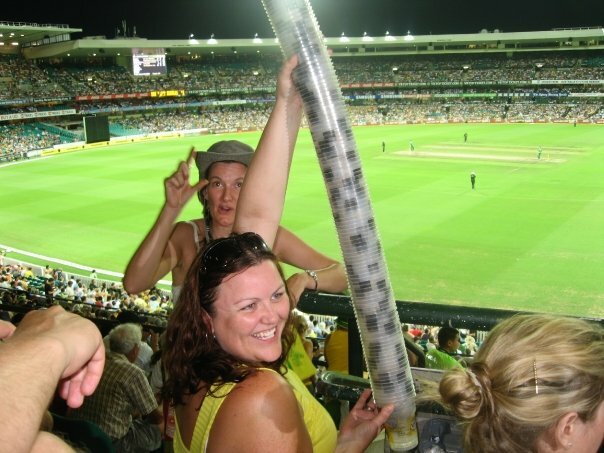 I think if you visiting Australia and want to go to a cricket game, the Twenty20 could be a good first time experience. I obviously still have a lot to learn about cricket. Since Ozdane plays cricket here in Singapore I get to watch it live and pay close attention since he’s actually playing. In my opinion it is a sport that is far more fun to watch live than on TV. Every time I watch one of his games I feel like I understand a bit more of the game. Do I always know what’s going on? Of course not, but hey – at least I’m trying! As for the question of which is the better sport, I won’t go there. Each person will have their own opinion and I don’t think one is better than the others. I can honestly say I like both sports. Living in Australia I gained respect and appreciation for the sport of cricket. 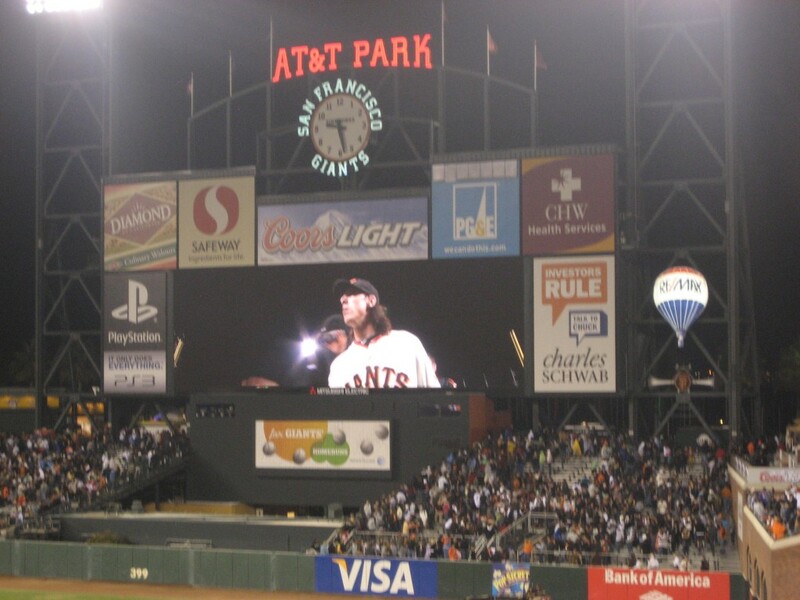 Will I ever be as passionate about it as I am about baseball, specifically my beloved San Francisco Giants baseball team? Well, probably not, but you never know. The million dollar question is – which one would our kids play? An Aussie Dad and American Mom could mean a cricket – baseball face off!